Within DRAGS, queer gems both past and present glam up the glossy pages of Kramer's collection. Veteran photographer and director Gregory Kramer's latest work, DRAGS, is a star-studded photo series that contains portraits of both drag initiates and superstars. If your coffee table happens to be covered in glitter, powder and sequins, DRAGS might just be the perfect addition. Inspired by fashion photographer Irving Penn, who produced six decades-worth of glamorous work at Vogue and is referred to as a "peerless portraitist" of the 20th century by The Metropolitan Museum of Art, Kramer's work invokes his subject's character through "subtle pose, gesture and facial expression." Kramer has created both video and photographic content for Bloomingdale's, Saks Fifth Avenue and Paper Magazine, and the artist served as first assistant director for Unzipped, Douglas Keeve's documentary on fashion mogul Isaac Mizrahi. Feathered, beaded, beautiful RuPaul's Drag Race season nine winner Sasha Velour adorns the collection's front and back covers. Between-cover company includes fellow RPDR contestants Aja and Peppermint alongside bona fide drag monuments Lady Bunny, Charles Busch, Duelling Bankheads, Linda Simpson, Wang Newton and Goldie Peacock. DRAGS also includes stories written by five of its subjects, each of which interrogate their own personal relationships with gender, performance and artistry in a constantly changing world. Multifaceted playwright, novelist, actor and painter Busch pens a contemplative essay pondering the identity-based ramifications of drag, his veneration of women role models, changing perceptions of what it means to be a drag queen and an artist, and the limitless creativity of theater. Velour writes with gusto about drag as magic and its power to transform life and the living world—poignant in a time of resistance. Simpson observes generational changes among drag and non-drag communities, and notes how the new generations of artists reinvigorate the art form. Peacock offers a rare drag king's perspective, clearing up misconceptions and making an undeniable case for the presence and power of king artistry. The late Sweetie includes a powerful homage to her "sisters who came before" posthumously published within the collection. "The story in the book was written on March 2, 2017," Kramer wrote in an email, "and was based on a speech Sweetie gave at her birthday party in December 2016 at the Highline Ballroom." Sweetie, who died later that month after a long battle with cancer, has her own homage in the book—three infectious, vivacious images chosen by Kramer from their shoots over the last year that close out the collection. Proceeds from the book will benefit Ali Forney Center, which provides resources to LGBTQ youth in need—specifically targeting the roughly 40 percent of homeless New York young people who identify as LGBTQ. 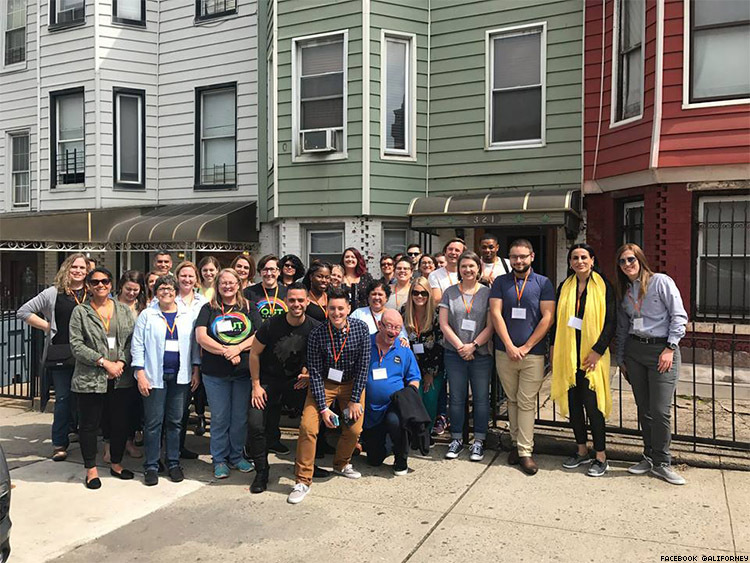 The center made headlines in the recent past for hosting performances and meet-and-greets with Lady Gaga, Madonna and Troye Sivan, and provides both emergency and long-term housing for roughly 124 youth at 14 housing sites throughout New York. Ali Forney also provides job-readiness training and education, comprehensive health-care services, hormone therapy treatments for transgender clients and an outreach service that brings the center's resources to the streets. 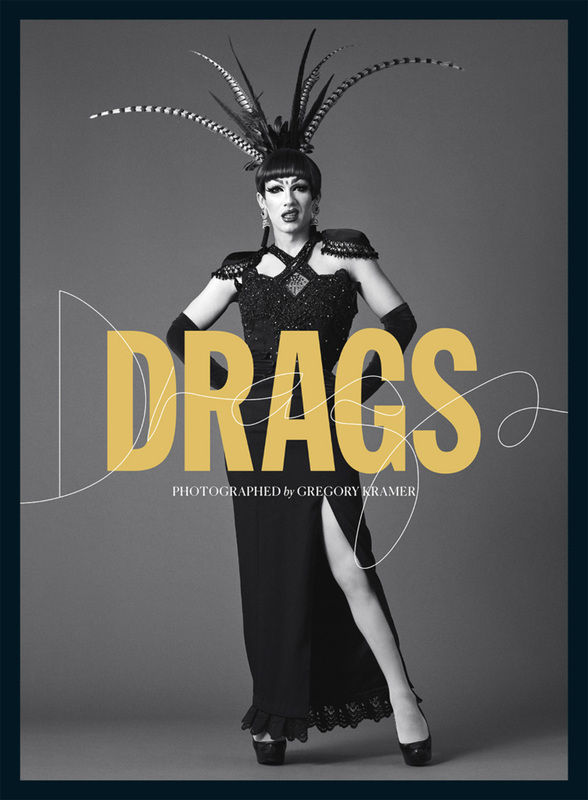 DRAGS is available now for pre-order, and for those interested in meeting face to sculpted face with some of its subjects—including Velour, Simpson, Peacock and many more—the launch party from KMW studio publishing is Thursday, Sept. 7, at the Highline Ballroom in New York. Click here to purchase tickets.